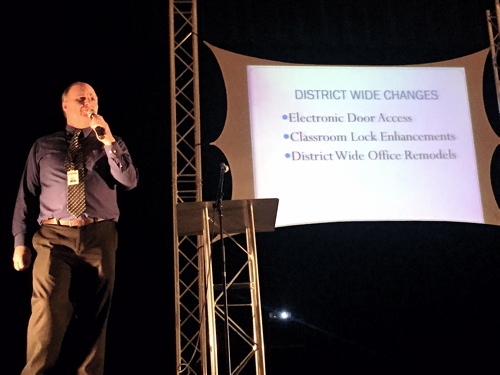 After a recent series of threatening telephone calls to a number of schools within the Flagstaff Unified School District, the district and the Flagstaff Police Department presented a community meeting on school safety on April 21 at Flagstaff High School, an event attended by more than 600 parents, educators and community members. 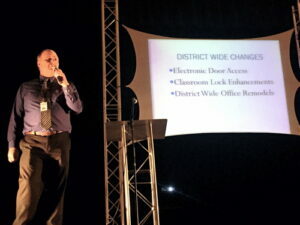 “Thank you to the more than 600 attendees at last nights Community Meeting. We will post the questions and answers as soon as we can,” district officials reported. During the program, the district presented the handout “Talking Points for Students” to help parents, teachers and students open the conversation about the recent lockdowns. Arizona Daily Sun — Flagstaff parents: Art our children safe? Visit the Flagstaff Unified School District at http://www.fusd1.org or click here for its Facebook page for more information.